This entry was posted in holiday, Humor, new york city and tagged chocolate matzoh, easter, flowers, passover, stupidity, tradition. Bookmark the permalink. Nope, no porcelain praying. I refuse to see The Passion of the Christ, but I did enjoy the brilliant Larry David parody. I always have an eye peeled for a Hamilton. Have either of you heard the song, Porcelain Monkey by Warren Zevon? It’s about a visit to Graceland. Every time I hear the word porcelain, I think of that song. Oh yeah I think lilies are better than hydrangea. Also easier to spell. Spell-check was well utilized for that one. That egg’s going to be bouncing off the floor and walls in my hovel all year, R — or until a neighbor barks. I’m glad you got some good praying in on Friday. I prayed for the ability to consume vast quantities of chocolate without my gallbladder punching me in the face. Didn’t work. You need a compromise solution, I highly recommend chocolate matzoh. I like the hydrangea better– but I am not a flower girl so what do I know? Opening Day Baby. Let’s go Sawx. You know how to spell hydrangea. I had to research it. Actually, I had put in for that day off. It was Milton-free Frank unless I might have sent him an email or two. 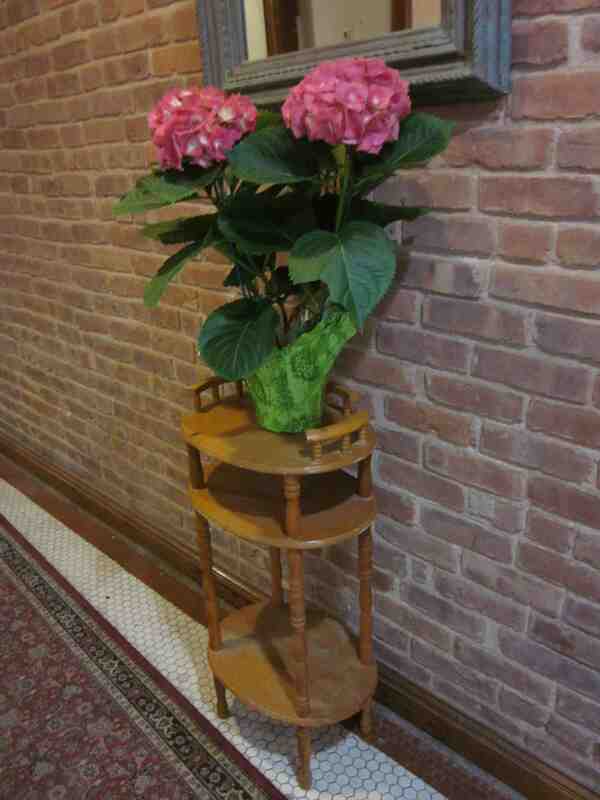 I agree with Audra, V. I like the hydrangea better. It kindof goes with the brick wall, too. Glad you got to sleep in on Friday and chocolate Matzoh, eh? They look like chocolate covered Triscuits! And one more thing…How does an egg-shaped Superball bounce? Sounds dangerous. It bounces SUPERBLY Cathy! Ricocheting off the floor to the ceiling onto my foot at the wall and smack right into my forehead. Truly excellent bounce. Chocolate matzoh! I’m for that! A good way to celebrate Eastover! Eastover! Love it. Much better than celebrating Passter. That’s brilliant Patricia! Love it! Instead of shopping for bananas, I usually go bananas shopping. My vote is for the lily, however I did send some hydrangeas to a funeral recently because they were my cheapest option. Not once did the deceased sneeze at the economy bouquet. Good pun, Russell, as I reach for the Allerest. I didn’t know that hydrangeas can serve double duty as funeral flowers. Next Easter, I anticipate that there will be carnations in the vestibule. I like a good easter lily. A hydrangea just feels wrong for easter weekend. Chocolate matzoh on the other hand feels very right. So does sleeping in until nearly noon; I am SO jealous. I almost missed last years’ puking when my kids woke up at 6:30 am to look for Easter eggs. Yes, your post about Easter 2012 was so vivid, I could almost smell it — including the bucket of warm, rancid eggs. Chocolate matzoh and a glass of red wine would probably work very nicely just for in-between laundry breaks, but I had the impression that you survived this Easter with nary a spit-up, much less a reprise of that ocean of upchucking. No upchucking to be had this year, only witnessing the after-effects of chocolate for breakfast. That only required ear plugs and gin, but no washing machines. I will take the matzoh and wine suggestion for lunch today though. Ear plugs and gin – have you ever considered writing a manual about parenting twins? Prefer scotch. Gin smells like lighter fluid. You parented your heirs on scotch? Not really. Just stating a preference over gin. Back in the day, when I could quaff the hard stuff with Martini Max, we always had gin martinis. I also loved gin and tonics in summer. Those are the exact spirits my fragile stomach can no longer handle. Life is so cruel. I’m easily pleased, LA, I like both plants! However, I don’t like waking up minutes before the time I should wake up… usually with me, it’s 05:59. But I do like chocolate, and eggs. But I don’t like too much of either. Although, this year, I’ve not had any… yet. You wake at 05:59 naturally, Tom! You’re a phenomenon. I only like egg-shaped chocolate if it’s dark chocolate, but I find that most egg-shaped chocolate is milk. Blech. 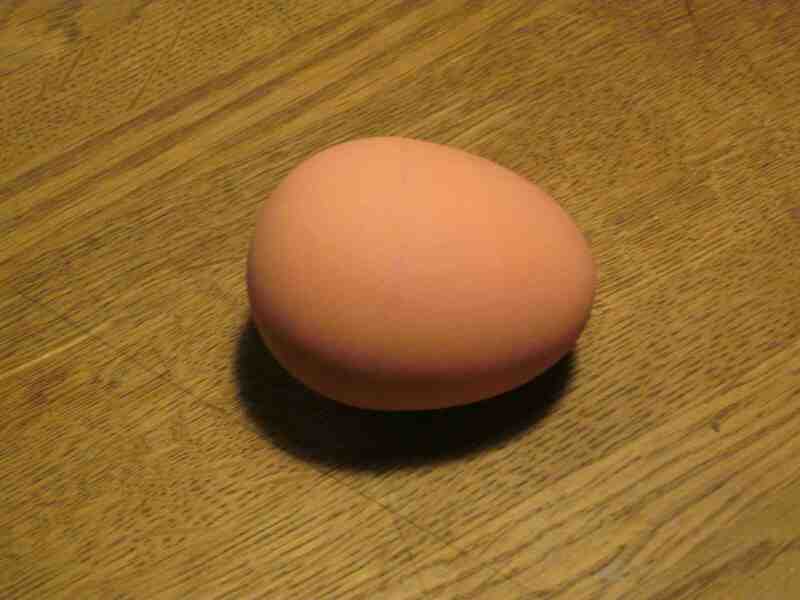 So, I prefer my egg shapes in bouncing rubber form. Lovin’ that super ball. So you pulled the “gotta go to church” card? Well at least you were up for most of the day! They must never move that table….I like the hydrangea because it will still be appealing months from now. 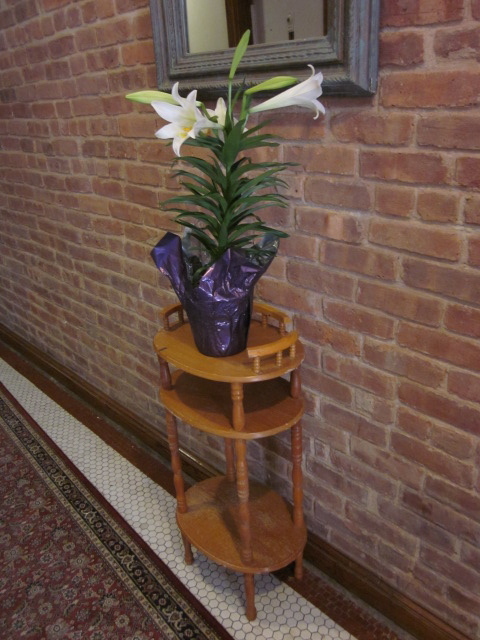 Lilies can be the Christmas trees of decor. An ugh forms in my mouth if I see it at the end of January. That Easter lily did tend to turn brown after a while. I’ll keep an eye on the hydrangea. The problem is that there’s no sunlight in the vestibule. That table comes out for various holidays. The rest of the time it’s probably in my landlady’s hovel propping up her husband. Lilly for sure the Hydrangea looks fake. That’s great, Leo! Now, water lily’s planted in my head. Glad you shared it here! Mike G. is really on top of his game today. I prefer the term “Eastover” to “Passter”, too. Many of you here are on top of your game this morning. Did you all get extra sleep this weekend? While I like lilies, I love hydrangeas; I would love to plant one in my yard, but they can be expensive. As for my Eastover unplant, while I was gone for 20 min. today, someone ripped most of the mum out of one of my two front-walk planters. Granted, I was going to replace the mums with something more seasonal when I got around to it, and the mums were dormant — or, I don’t know, maybe dead. But it’s the idea. Why would you rip dried flowers out of someone’s planter? A vacuous act of a vacuous mind. Could it have been mum-munching raccoons? They look like bandits. Chocolate matzoh’s excellent! Take a walk on the kosher wild side, Jules! That Superball must have a completely unpredictable bounce trajectory. I’d get my exercise, that’s for sure. It’s nice that your building puts out seasonal flowers. When I first read it, I didn’t realize it was an official thing, but thought it was a random act of kindness, which I think is really cool. It sounds like you had a good Good Friday. 11:57. You must’ve been tired! Although I often feel refreshed sleeping in late, I also feel a little guilty, like I’ve missed out on part of my day. My building is not big on random act of kindness, but occasionally someone does leave a note to fellow tenants asking whoever stole their magazine to return it. I am usually blessed with the sleep gene Smak. It is a gift. I feel no guilt after a long snooze, but there have been times when I’ve wished the day was 30 hours long on days when I don’t have to be at The Grind. I, for one, cannot believe you guys don’t get Good Friday off. What about Easter Monday? Easter Monday is an entirely new concept to me, but I’ll let you and your other fellow Catholic Lame Adventurer, Mike G, hash that one out; you in your post-Lent peanut button M&M overload. Truly, Easter Monday, is even more foreign to me that Thanksgiving Eve, but that Wednesday evening before Turkey Day is a bit of a tradition with me. That means steaks and high octane beverages in Jersey with my pal Martini Max. Pretty much a European thing. Kinda like Boxing Day. Boy, was I bummed out when I learned it was NOT a day devoted to beer drinking and watching the sweet science on TV. What’s the sweet science? Baseball? Pugilism, my dear LA Woman. Oh. I wasn’t aware that Boxing Day was literally bout boxing. To my way of thinking, it could just as easily been about containers. The British have their quirks. You need to re-read my comment. The holiday refers to the gift boxes, NOT rhe sweet science. It was my youthful naivete and uttee lack or unworldliness about which i joked. No, Easter Monday is not a holiday over here, nor is Good Friday. We separate church and holiday. I’m glad that you’re pacing yourself as you chow through those two dozen packs. I took Easter Monday off. Didn’t sleep till noon, though. I wish I could stop cramming in so much stuff into one day. I never finish all the stuff I want to do and then I feel cranky. Might as well go to work and sleep there. I adore hydrangeas. We can’t really grow them here – or we shouldn’t. I think they need a lot of water. They’re gorgeous when you dry them. So steal them and hang them upside down till they’re dry. You’ll have a beautiful dead plant to look at for years to come. Now, you’re an Easter Monday celebrant, too, Jean? I think when I was a kid attending (more like sleep-walking) my way through Catholic school we had the week after East off. Or maybe it was the week before? I wasn’t the most attentive about anything religion-related in those days, but I recall liking having the week off. Last week I spilled a packet of fresh peas all over my kitchen. I think I’ll be staring at those dried legumes popping up all ovr the place for the rest of my life in that hovel. The lily is better, I agree. Thank you for weighing in on this anything but great debate. I like to think I’ve turned the tables on this debate, once and for all. I think you leaning lily did just that. I’ve been accused of leaning lily many times. Is that akin to gilding the lily? Yeah, it’s a second cousin. Time to insert snare drum and high hat sound effect. I admire your ability to fly. I wish you would show the rest of us how to do it. It’s very simple trick: just get yourself shot out of a canon. Canon as in the camera or Catholic rules and regulations? Or was that possibly a cannon? Ask your wife to punch you for me. Will do, once she returns from Philly tomorrow. It’s on my to do list, just after my do-it-yourself root canal. I have access to a cannon, but it only four inches long, so I’m pretty sure I wouldn’t fit. Any ideas where I can get an XLarge cannon? Indeed, Lame Adventures woman is a regional rep. She reports to Wile E. Coyote. You know that I report to Elsbeth, and not her husband. Of course. I hope they have one here in Seattle. Archie McPhee might be able to assist you, too. Is he related to Katherine McPhee? Anything’s possible. You can visit Archie at 1300 N 45th Street — in Seattle. Nanny McPhee there as well? That is so far away. I’d have to get in a car and travel like 20 minutes. Perhaps if I find a better cannon…. Maybe you can order one online. Now you are speaking a lazy man’s language. Your comment makes me blush. This is where the *get a room* comment should be. Apologies. Whatever. I’m quite discombobulated at the moment. I grabbed a yogurt out of the fridge anticipating blueberry, but it’s vanilla. Now the rest of my day is going to be out of sorts. I have a love-hate relationship with hydrangeas. They have the same effect on me as those toilet-roll hiding dollies that my granny used to have. Shudder. Sorry, but I I like those TP roll tea cozies. 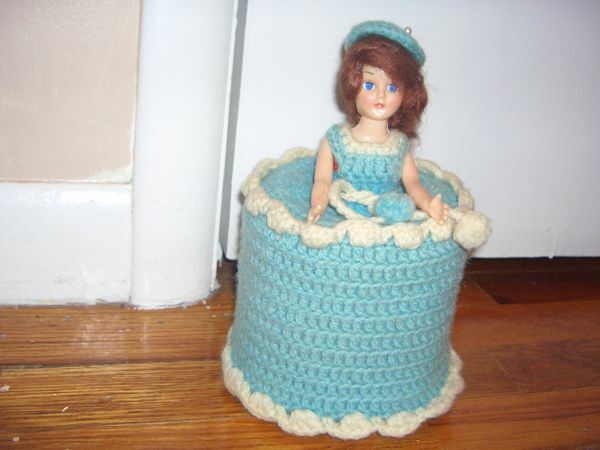 My grandmother used to crochet those ghastly TP coverings, but topped hers with a pom pom, not a Barbie! I sooooooooooo hated those things, too! I’m not wild about hydrangeas, either, but it’s now been sitting there for eight days and it’s still holding up. In it’s favor it’s taking longer to turn brown than the lily. You’re never late, Savannah! It’s always great to hear from you. If I were to take a count, it dies seem that the hydrangeas are in the lead. They make chocolate matzoh? Why was I not informed of this? Now you know about it! I’m not a chocolate bunny eater, plus I can get chocolate matzoh in my favorite type of chocolate, dark. It’s only available at Passover. That’s okay with me. It makes it a special treat. Noted. And would you like fries with that white chocolate bunny? We’ll honor your Canadian pride. You’d be a fan of chocolate matzoh, too! 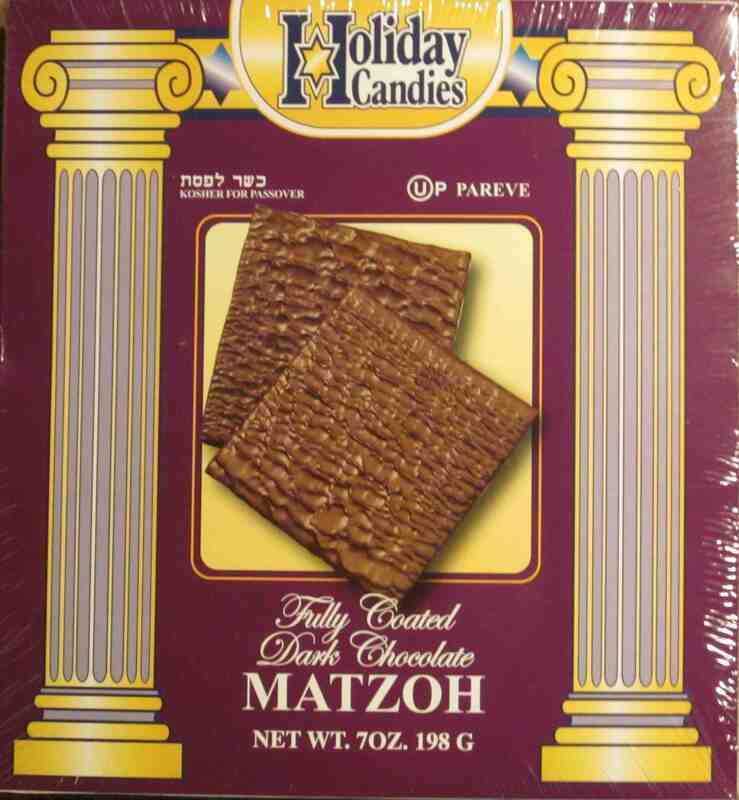 Chocolate matzoh is seasonal. It appears at Passover. If there’s a Jewish deli around where you live, odds are good you’ll find it there next year. Now it’s the chocolate matzoh off-season. You’ll like it. I’ve turned my colleagues onto it. It’s now scoring hits with gentiles everywhere.